Jules Gounon is a successful international racing driver, having come 2nd at the Daytona 24 proper, won the Spa 24 hour race outright, and secured the ADAC GT Masters championship, and that’s just this year. During the Classic 24 Daytona last weekend, Jules added another race to his tally by assaulting the field with this shrine to American V8 sports car greatness. 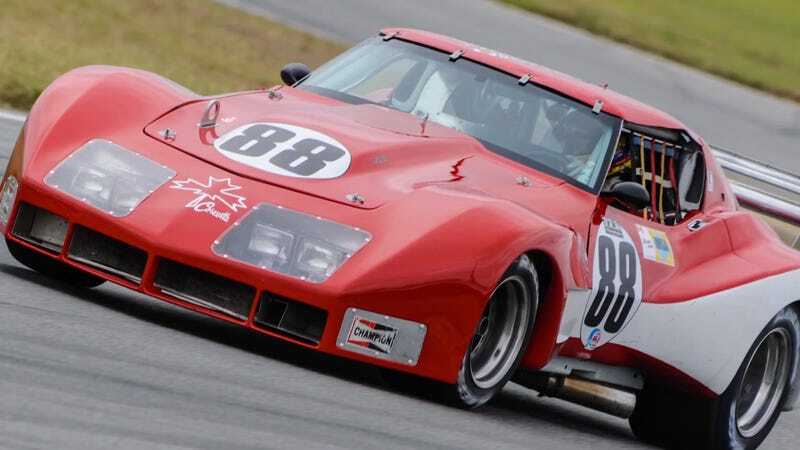 He hustled a rare and valuable L88-powered Greenwood C3-generation Corvette around the international sports car circuit at Daytona. In the video, you can see Jules qualified second. He manages to avoid potential disaster at turn one by being quick on the brakes before taking the lead of the race on outright top speed passing on the back straight before the bus-stop chicane. The sound of this car is enough to shatter the early morning silence, and more than enough to get your brain jogged into operation today. Enjoy your Sunday more because of this short video. Crank up the volume, and get amped for the rest of the day. This is better than coffee.